Discussions Magazine Music Blog: BRAD PAISLEY/Wheelhouse: Available April 9th, 2013! 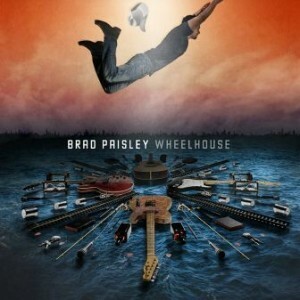 BRAD PAISLEY/Wheelhouse: Available April 9th, 2013! Nashville, TN – Country superstar Brad Paisley garners his 21st No. 1 single with “Southern Comfort Zone,” and today confirms the track listing for his 8th regular studio album, Wheelhouse, set for release on Arista Nashville on Tuesday, April 9. Beginning today, fans will be able to participate in an interactive reveal of the Wheelhouse and Wheelhouse (Deluxe Version) album covers at www.bradpaisley.com. The layered reveal experience includes a fan mosaic, hidden icons that unlock special items, an exclusive Brad Paisley making-of-the-album interview and information on how to enter a national sweepstakes. Four additional tracks will be included on the Wheelhouse (Deluxe Version).